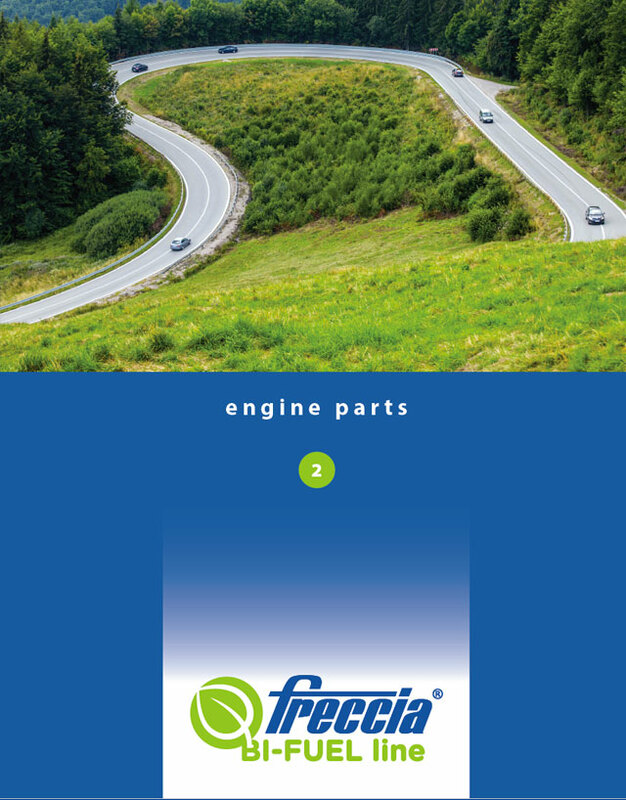 Freccia Bi-Fuel Line represents a new range of valves and valve guides for gasoline engines transformed into engines powered by natural gas and GPL. The high operating temperature developed by the combustion of these fuels, associated with the poor lubricating and cooling power of natural gas and GPL, call for the use of engine valves and valve guides especially studied and manufactured with special materials. During the cylinder head overhauling it is necessary to use such type of components. Freccia Bi-Fuel valves are manufactured with last generation steels, highly resistant to heat and wear; the stellite deposit on the valve seat increases the resistance to corrosion. This is of fundamental importance to prolong the valve life and the engine life. Freccia Bi-Fuel valve guides are offered in 2 different materials: sintered alloy or bronze. The guarantee of good and lasting functioning of the engine is given only by the joint use of Freccia Bi-Fuel engine valves and valve guides.